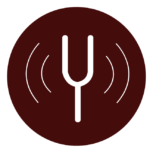 Tuning forks treatment is a sound therapy system which offers a simple, effective method for helping the body let go of mental, emotional, or physical stress. At the point when a tuning fork is struck, a vibration is made, affecting the fork as well as the air around it. The frequency sends the vibration as an energy pulse through the air, which can be harnessed to help increase the healing energy inside the body. Acutonics is among the most known tuning fork practices, a special technique that was developed by an acupuncturist which utilizes the vibrating weighted tuning forks on special points on the face. It is based on the same assertion as acupuncture – that stimulation of these appropriate areas can unclog stuck or lifeless energy, improving the energy flow throughout the body and supporting the whole being in healing itself. It is believed among practitioners that inserting needles or vibrating tuning forks on these special places on the face can improve the transmission of blood as well as the flow of energy, which can result to diminishing wrinkles, stimulation of cell regrowth and improvement of overall skin complexion. Learn more about our other services, as well as our featured procedure, the constitutional facial acupuncture. Find out what treatment might help with whatever ails you at the moment. Read about Dr. Mia Hanh’s background, as well as her certifications. Find out how she started her practice, and how she combines Eastern medicine procedures with Western technology. Get in touch with us and set an appointment date. Whether you want an initial consultation or a session, let us help you begin your treatment as soon as possible.